Dinner and drinks and special activities being held during festive season. For the upcoming festive season and to farewell 2018 and greet the new year of 2019, InterContinental Westlake hotel is organizing a number of celebratory activities. 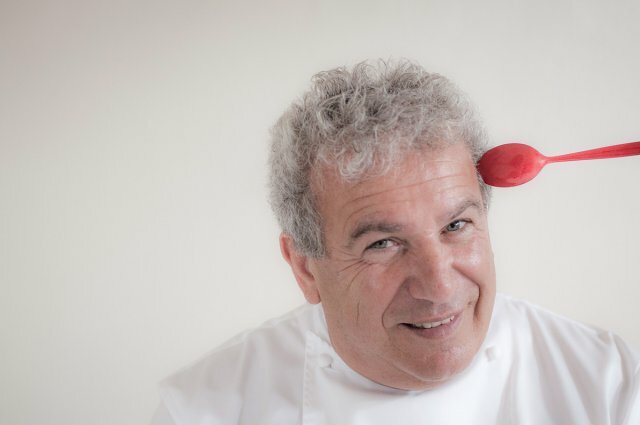 On December 7, there will be an “Italy Haute Cuisine” event from 6pm to 10.30pm at Milan Restaurant, where four Michelin-starred Chef Igles Corelli will surprise guests with a special six-course dinner prepared from fresh ingredients produced locally and imported from Italy. Born in 1955 in Argentina, Igles’ parents owned a trattoria and put him to work there from the age of nine. He used to play around, pretending to buy and sell sweets, but his culinary curiosity was first piqued when he first made piadina, an Italian flatbread. He realized that the oil had to be hot before frying the bread, otherwise it would become soggy. Igles continued to experiment in the kitchen, and after graduating from culinary school began to work in local kitchens and then all over the world. The chef is renowned for his creations inspired by his childhood memories, such as crunchy lasagne with vegetables, robiola cheese, and Praga ham sauce. “For the first time the best local, traditional ingredients were being used to create brand new dishes, giving chefs a newfound creativity in the kitchen,” he said. The price for the dinner starts from VND2.5 million++ per person, including Italian Tomassi wine. The Christmas Market, meanwhile, will take place from 2pm to 6pm on December 8 at Sunset Bar, located on an island within the hotel. Entry is free, and guests can join a festive afternoon of music, holiday treats, food trucks, gift shopping from local artisans, games, and a visit from Santa Claus. On December 16, the hotel is holding “Brunch de Luxe - The Festive Edition”, from 12pm to 3pm, featuring fresh lobster sashimi, rich-flavored black tomahawk steak, and unique truffle risotto. Accompanying the party are premium wines from the famous VeuveClicquot brand from Reims, France; a splendid choice to pair with sophisticated cuisine. The main theme of the dessert menu is chocolate, with exquisite and unique creations from the chefs. Packages are available at VND1.799 million++ per person, including free-flow soft drinks and chilled juices, VND2.2 million++ per person, including free-flow wine and beer, VND3.2 million++ per person, including free-flow VeuveClicquot champagne, and VND7.5 million++ per person, including free-flow Dom Perignon champagne in the Private Penfolds Lounge. Guests can enjoy a 15 per cent discount when booking before December 9. The Christmas Day Brunch on December 25 at Café du lac is unique - a truly elegant and exciting special occasion. Diners will be wowed by the intense, rich flavors of freshly-prepared dishes, and even more so when they’re beautifully paired with a fine wine, expertly mixed cocktail, or glass of champagne, all served in a fabulous festive atmosphere. Silver Christmas is VND1.8 million++ per person, excluding beverages, Golden Christmas is VND2.3 million++ per person, including free-flow wine and beer, and Diamond Christmas is VND2.9 million++ per person, including free-flow champagne. Children between six and eleven years old dine for half price while those under five years old dine for free. Last but not least, new year’s eve celebrations will take place at Milan Saigon Terrace, starting from 9pm to well after midnight, featuring a variety of activities such as live music, entertainment and dancing, priced at VND600,000++ per person, including a glass of sparkling wine.